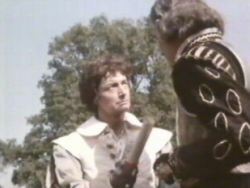 At Casal, the General has made out a last Will to be delivered to his wife by Flins. 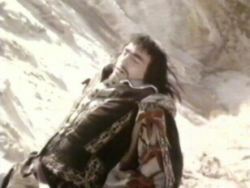 Flins is not happy about leaving as he wishes to die an honorable death in the defence of the castle. General Thoiras insists that he leave (he is still very young with a young wife) and deliver the letter. The Spanish guns continue their relentless pounding of the castle battlements (or what's left of them). Back at the conference, the four powers present have voted three to one (we all know who the one is) in favour a truce for four months from this very day between France and Spain. 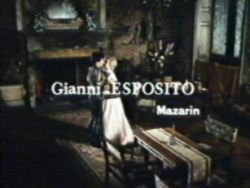 Don Alonso is furious especially as the French agent (Francois) is standing near him in the room. 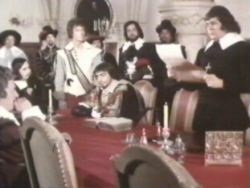 Francois is charged with delivering the truce agreement to both the Spanish General Castellan and the French General Thoiras at Casal. It's amazing that no one has informed Isabelle that Francois is still alive. 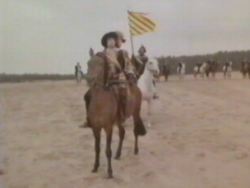 Don Alonso and his Spanish cavalry leave the conference determined that the taking of Casal will go ahead. 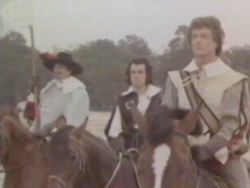 Don Alonso must have realised what was about to happen (vote wise) for his aid arrives at General Castellan camp and informs the General of the outcome and that a French courier is on his way and would be only several hours away. 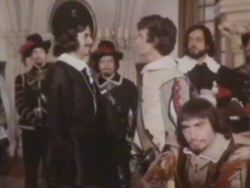 The orders are for the immediate taking of Casal to begin. 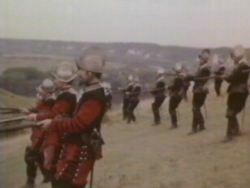 The General orders the artillery to stop firing and troops to begin the attack. 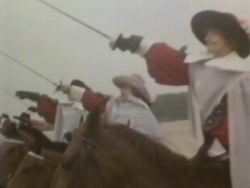 On the road, the French cavalry with Francois are stopped by the facing Don Alonso and his Spanish cavalry. 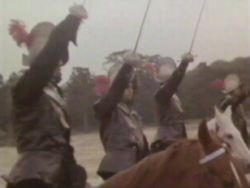 A fight between the cavalry ensues and Francois and Guillot break through closely followed by Don Alonso. 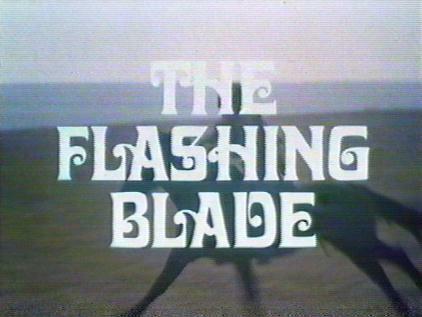 Guillot is stabbed in a sword fight leaving only Don Alonso and Francois. Well we had been building up to this for a long time and it is finally here. 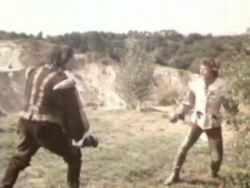 The two being a sword fight. 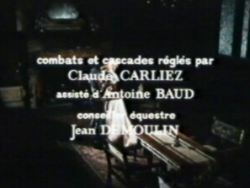 After what seems like an age Don Alonso eventually falls dead and Francois can continue with his mission to save Casal. 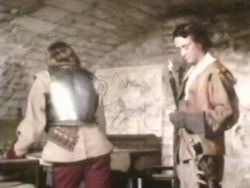 On arriving at the Spanish camp, the General Castellan is reluctant to stop the attack (on the basis of a piece of paper and a signature or two) but Francois persuades him. Back in the castle, Kleist is killed just before the General hears the retreat call for the Spanish forces. 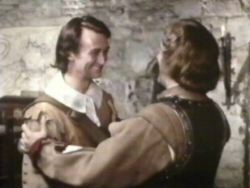 Francois enters the castle and informs Flins and the General of the good news. 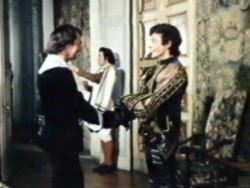 Francois then asks the General if he can go on another mission immediately. 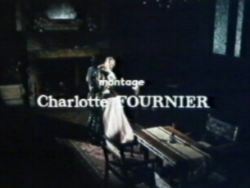 Francois returns to the Chateaux to find that Guillot is still alive and being cared for by Mireille. 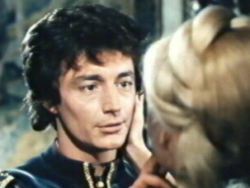 Francois asks about Isabelle and is informed that she has entered St. Lucie's convent. 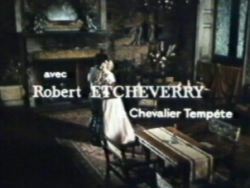 Francois arrives there to be told by the Mother Superior that Isabelle has already taken her vows and that he must not try to contact her. Francois leaves a broken man. A short time later Guillot who has made a full recovery and seems to be enjoying the company of Mireille, receives a letter from his master. Francois is now going abroad to seek glory and adventure and to forget his true love Isabelle. Guillot rushes to be with Francois. Just over a year later the duo return to their homeland on horseback. It has been 403 days since they left the castle at Casal. 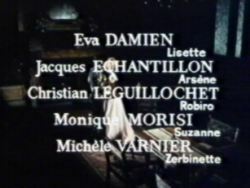 A lady who turns out to be Le Chevalier's Aunt, the Duchess, and her maid (Lisette - Guillot's girl) are wanting to celebrate the return of Francois. 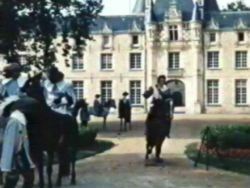 They have invited many guests to the massive estate - it is only now that we see where Francois came from and what a house he lives in. The Duchess complains about the snoring someone made that night in the next room. 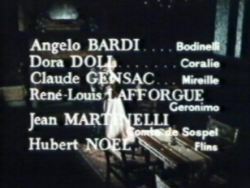 It turns out that that particular room was occupied by Bodinelli and Mazarin who have also returned at the Aunt's request. 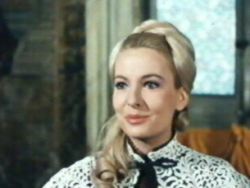 Mireille has also joined the gathering. Everyone is pleased to see Francois especially his Aunt. She tells him of her plans and who has arrived for the get together. Francois says that seeing all these people again will only remind him of the sorrow he feels. He is still in love with Isabelle. Downstairs in the servants quarters, Guillot is helping Lisette with some boot polishing and shoe cleaning. He starts to go through the boots and identify which shoes belong to which guest. He comes across a pair of very long boots and a small pair of lady's shoes who do not have an owner. He starts probing Lisette for more details and eventually she whispers some words in his ear. 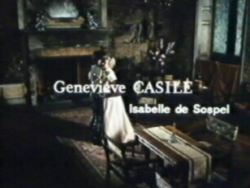 Back upstairs we are in the room of the Count de Sospel and (yes you guessed it) Isabelle. 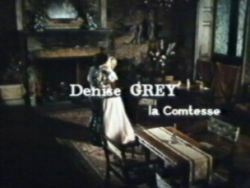 The Mother Superior allowed her to leave the convent and Isabelle is now worried that Francois may not have any feelings for her. The Duchess enters the room to calm her fears and confirm the Le Chevalier is still very much in love with her. The time of the party has arrived. Francois is downstairs in the ballroom as Guillot starts to announce the arrivals. Flins and his wife have also joined the event. Francois is very pleased to see Flins. Flins informs him that Thoiras has been promoted to Grand Marshal for his heroism at Casal. Then the moment arrives, Francois cannot believe his eyes when the Count De Sospel and his daughter enter the room. Together Francois and Isabelle leave for the garden and soon end up in each other's arms. 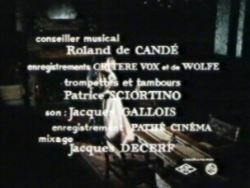 For entertainment purposes all the original troupe of players have also arrived and put on a special show about Francois and his love for Isabelle. In the servants section of the house, Guillot is pestering Lisette for a few kisses but she is holding him back. 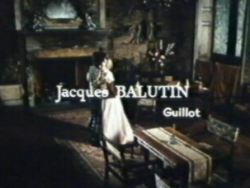 Lisette persuades Guillot that if he wants to kiss her, he must propose to her. 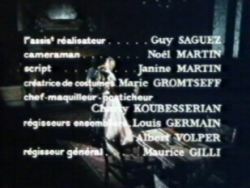 Guillot follows his instincts and instantly agrees to marry Lisette. The series finally ends with Francois and Isabelle promising themselves to each other for all time. 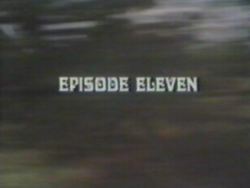 An so ends a truly remarkable work of children's television. Many will not have seen the very last episode as it was rarely shown by the BBC. 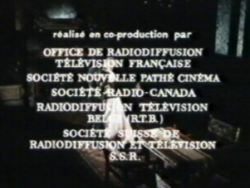 I have included the original French credits at the bottom as they appeared.